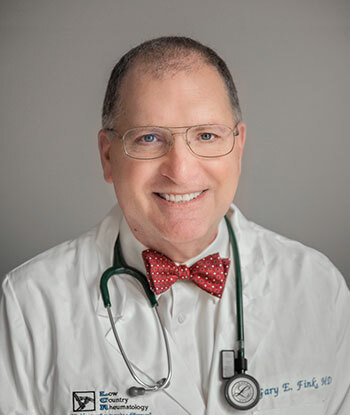 Born in 1955 in New York, NY, Dr. Fink attended both Thomas Jefferson Medical College and Franklin and Marshall College, receiving an M.D. and B.A. Degree, respectively. While there, he was accepted into Phi Beta Kappa, made the Dean’s List, and given the Thomas Gilmore Appel Award. In 1981 he served an internship in internal medicine at the Albert Einstein Medical Center, followed in 1982 by a residency (also in internal medicine) at the University of Tennessee at Baptist Hospital, and finally a fellowship in rheumatology at the Medical University of South Carolina. He has been involved in 6 research projects, and has been Study Coordinator for a clinical trial on Cytotec and Principal Investigator in a project on metoclopramide treatment. 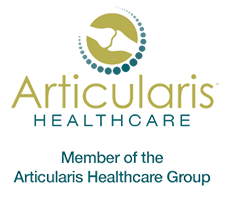 He has been in practice since 1980, in positions ranging from Part-time Clinic Doctor to Medical Director. In addition, he teaches residents at the MUSC Department of Family Medicine, and is the editor of lupus newsletter “L.E. Beacon.” He is Board Certified in rheumatology and internal medicine, and is a member of the South Carolina Rheumatism Association, of which he was president in 1990, 1999, and 2000. He is also a member of the South Carolina Medical Association and the Dorchester County Medical Society, and is affiliated with Trident Medical Center.